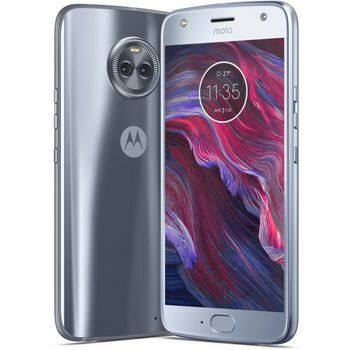 The Motorola Moto X4 Dual SIM Smartphone with a 5.2-inch display is designed to bring you the best of everything; performance, camera, viewing experience, and design. This smartphone is packed with a plethora of features that come together to give you an unforgettable experience. 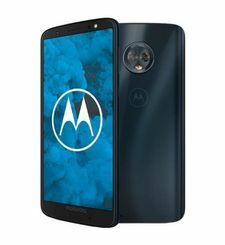 If you are looking for performance, the Motorola Moto X4 Dual SIM Smartphone delivers a smooth and seamless experience with a 4GB RAM and the Qualcomm Snapdragon 630 processor with 2.2 GHz Octa-core CPU. 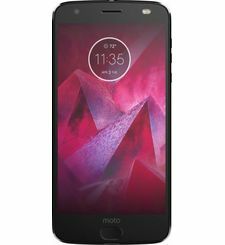 Whether you are running applications and want to move between them or feel like playing a heavy duty game, you can trust the Motorola Moto X4 Dual SIM Smartphone to handle it all without a glitch. The 64GB built-in memory allows you to store all kinds of data you need, from audio files to videos to e-books and more. If you are looking for endurance, the Motorola Moto X4 Dual SIM Smartphone is guaranteed to power through your longest of days with the 3000mAh Lithium-ion polymer battery. And even when you run out, a 15-minutes charge will get the smartphone running for extra 6 hours. 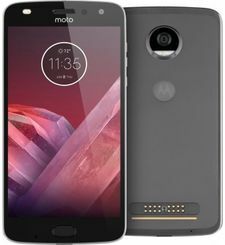 If you want a great camera, the Motorola Moto X4 Dual SIM Smartphone is a camera disguised as a high-performing phone! The dual rear camera captures beautiful and life-like pictures and videos with a 12MP + 8MP lens. The 16MP front camera makes every selfie or group selfie you take the best one ever. Completed with a gleaming super black color and a seamless design, the Motorola Moto X4 Dual SIM Smartphone is here to show you what true performance looks like. With the Motorola Moto X4 Dual SIM Smartphone, you will be able to do more and capture more of the world around you. 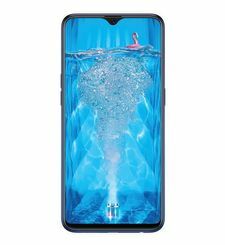 Thanks to the advanced dual 12MP + 8MP rear camera and a 16MP front-facing camera, you will be taking beautiful shots every time you hit the capture button. The Motorola Moto X4 Dual SIM Smartphone gives your pictures a greater depth, allowing you to highlight the focal areas of an image. Even when capturing pictures in low light conditions, you will still be able to take the perfect shot thanks to the Dual Autofocus Pixel technology and large 1.4um pixels. The 12MP camera allows you to focus faster and get great results no matter what conditions you are taking the picture in. When you are moving exploring the world, the Motorola Moto X4 Dual SIM Smartphone brings you a smarter camera experience! When you are met with a recognized landmark, the minute you point your lens at it, it will automatically ask you if you want to learn more about the landmark in front of you, helping you get all the knowledge you need with no efforts from your side. Whatever you love to do in your free time, the Motorola Moto X4 Dual SIM Smartphone can handle it all. 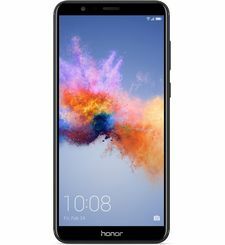 Do not be fooled by the phone’s sleek design, this phone is a powerhouse undercover. You can now watch videos, play games, use different applications, and do other things without worrying about performance stutters. With a Qualcomm Snapdragon 630 processor with 2.2 GHz, Octa-core CPU ensures you get the performance you need, no matter what you are doing. The Motorola Moto X4 Dual SIM Smartphone is the phone to have when you lead an active lifestyle and want a phone that makes you even more unstoppable. Thanks to the TurboPower charger, you have enough battery to power through 6 hours with just a 15 minutes charge. You have found your match! Prepare to enjoy an immersive audio experience that will make you feel as if you are standing right in the middle of the action! Whether you are listening to your favorite artist, watching a movie, or playing a game, you are no longer limited to one speaker! Now, you can connect your phone to up to four Bluetooth audio devices at the same time and spread the sound wherever you go, and without the hassle, cables come with! Thanks to the Moto Actions feature, you will be able to take full control over your smartphone experience. The Motorola Moto X4 Dual SIM Smartphone offers you the chance to set your own shortcuts to access your favorite applications. 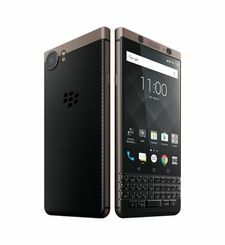 You can twist your wrist to open the camera, double tap on the screen to open the flashlight, or any other gesture, without having to touch a single button. The Motorola Moto X4 Dual SIM Smartphone sports a screen made of Corning Gorilla Glass which stretches all the way around, making sure you are protected against scratches. Completed with an IP68 rated water-resistant design, you no longer have to worry about water spills or splashes. This phone is well-protected inside and out. 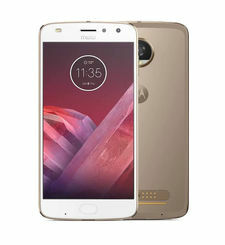 The Motorola Moto X4 Dual SIM Smartphone with a 5.2-inch display is designed to bring you the best of everything; performance, camera, viewing experience, and design. This smartphone is packed with a plethora of features that come together to give you an unforgettable experience. If you are looking for performance, the Motorola Moto X4 Dual SIM Smartphone delivers a smooth and seamless experience with a 4GB RAM and the Qualcomm Snapdragon 630 processor with 2.2 GHz Octa-core CPU. Whether you are running applications and want to move between them or feel like playing a heavy duty game, you can trust the Motorola Moto X4 Dual SIM Smartphone to handle it all without a glitch. The 64GB built-in memory allows you to store all kinds of data you need, from audio files to videos to e-books and more. If you are looking for endurance, the Motorola Moto X4 Dual SIM Smartphone is guaranteed to power through your longest of days with the 3000mAh Lithium-ion polymer battery. And even when you run out, a 15-minutes charge will get the smartphone running for extra 6 hours. If you want a great camera, the Motorola Moto X4 Dual SIM Smartphone is a camera disguised as a high-performing phone! The dual rear camera captures beautiful and life-like pictures and videos with a 12MP + 8MP lens. The 16MP front camera makes every selfie or group selfie you take the best one ever. Completed with a gleaming super black color and a seamless design, the Motorola Moto X4 Dual SIM Smartphone is here to show you what true performance looks like. DUAL IS ALWAYS BETTER THAN ONE With the Motorola Moto X4 Dual SIM Smartphone, you will be able to do more and capture more of the world around you. Thanks to the advanced dual 12MP + 8MP rear camera and a 16MP front-facing camera, you will be taking beautiful shots every time you hit the capture button. The Motorola Moto X4 Dual SIM Smartphone gives your pictures a greater depth, allowing you to highlight the focal areas of an image. Even when capturing pictures in low light conditions, you will still be able to take the perfect shot thanks to the Dual Autofocus Pixel technology and large 1.4um pixels. The 12MP camera allows you to focus faster and get great results no matter what conditions you are taking the picture in. BRINGING SMART TO YOUR CAMERA EXPERIENCE When you are moving exploring the world, the Motorola Moto X4 Dual SIM Smartphone brings you a smarter camera experience! When you are met with a recognized landmark, the minute you point your lens at it, it will automatically ask you if you want to learn more about the landmark in front of you, helping you get all the knowledge you need with no efforts from your side. POWER UNDER THE HOOD Whatever you love to do in your free time, the Motorola Moto X4 Dual SIM Smartphone can handle it all. 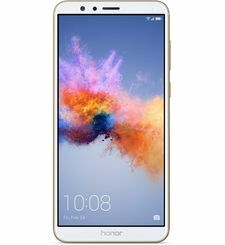 Do not be fooled by the phone’s sleek design, this phone is a powerhouse undercover. You can now watch videos, play games, use different applications, and do other things without worrying about performance stutters. With a Qualcomm Snapdragon 630 processor with 2.2 GHz, Octa-core CPU ensures you get the performance you need, no matter what you are doing. BUILT TO POWER THROUGH The Motorola Moto X4 Dual SIM Smartphone is the phone to have when you lead an active lifestyle and want a phone that makes you even more unstoppable. Thanks to the TurboPower charger, you have enough battery to power through 6 hours with just a 15 minutes charge. You have found your match! UNLEASH YOUR AUDIO Prepare to enjoy an immersive audio experience that will make you feel as if you are standing right in the middle of the action! Whether you are listening to your favorite artist, watching a movie, or playing a game, you are no longer limited to one speaker! Now, you can connect your phone to up to four Bluetooth audio devices at the same time and spread the sound wherever you go, and without the hassle, cables come with! TAKE CONTROL OVER YOUR EXPERIENCE Thanks to the Moto Actions feature, you will be able to take full control over your smartphone experience. The Motorola Moto X4 Dual SIM Smartphone offers you the chance to set your own shortcuts to access your favorite applications. You can twist your wrist to open the camera, double tap on the screen to open the flashlight, or any other gesture, without having to touch a single button. NO SPLASHES, NO SCRATCHES The Motorola Moto X4 Dual SIM Smartphone sports a screen made of Corning Gorilla Glass which stretches all the way around, making sure you are protected against scratches. Completed with an IP68 rated water-resistant design, you no longer have to worry about water spills or splashes. This phone is well-protected inside and out.